[i:c36b69ed01]The Attico, Valsavaranche, Val di Cogne, Valle d'Aosta. Drytooling in Italy's Valle d'Aosta takes on a new dimension with the development of a new total dry crag, the Attico. 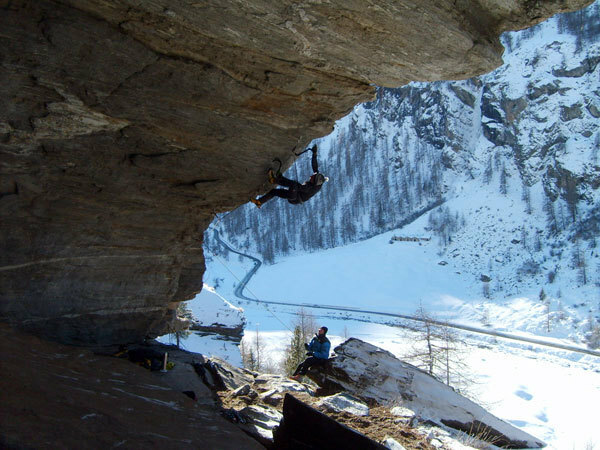 Located directly above the famous Haston cave in Valsavarenche (home of prime calibre routes such as The Empire Strikes Back and Mission Impossible), the attic boulder currently hosts nine lines and was equipped by Andrea Arici and Raffaele Mercuriali. The routes have provisionally been given a letter D to reflect the total lack of ice, while all grades are to be considered without the use of spurs.